OPEN HOUSE 2-3-19 -1PM to 3PM- Southwood Park/Old Mill gem! 4 bedroom home in the highly desirable "07" neighborhood w/ basement & 2 car garage. 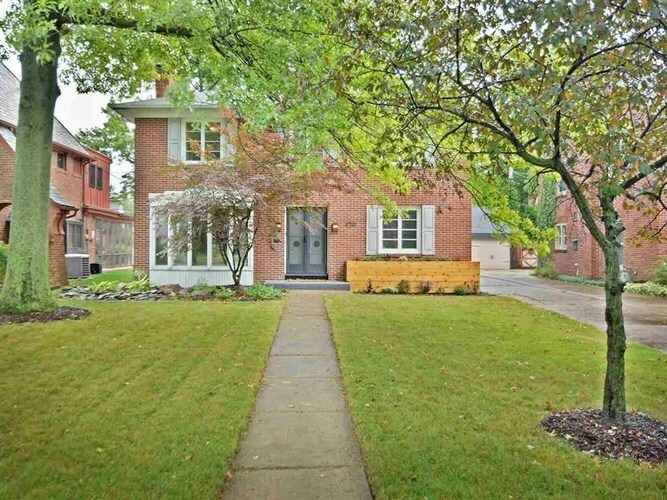 Classic brick home with nearly 2,500 finished square ft just a few yards from Foster Park. This property has been recently updated with modern hardware, paint, accents - natural wooden beam mantel over the fireplace, new flooring on both levels, planked walls and wainscoting, elegant light fixtures, stainless steel appliances and new kitchen backsplash. The home’s main floor features two living spaces, a den/office with built-ins, half bath, dining room, kitchen and spacious living room. The upper level features a huge master bedroom with walk-in closet (build in process), 3 additional bedrooms and updated bathroom. All appliances stay with home with the exception of washer & dryer. Recently installed and serviced high efficiency HVAC system. Brand new (2018) tankless water heater. Must see! Won't last long! Directions:W Rudisill to Old Mill, past the roundabout just past Sherwood Terrace.